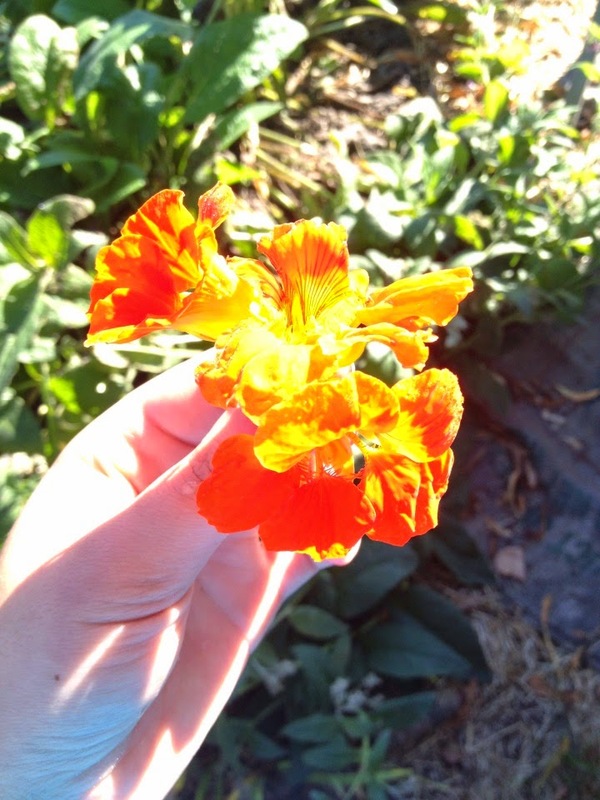 Well, we definitely lucked out with the weather today- what a beautiful morning we had in the garden! The weather was warm and sunny for our group of 20 grade 7/8 students from Chris Hadfield and Irma Coulson Public School. It was great to have an advanced group of “Eco Hawks” and “Garden Managers” to teach them some more in-depth aspects of organic farming. 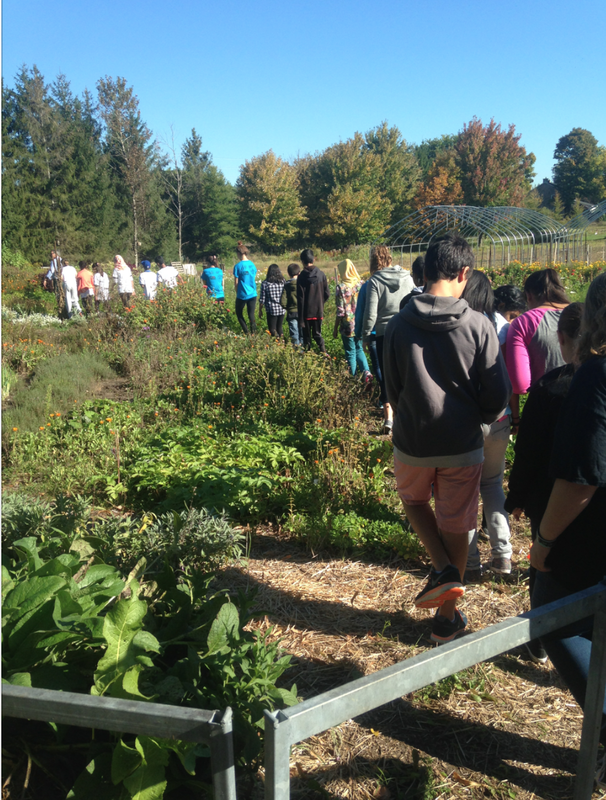 We started the morning with a tour of the garden and informative talk by University of Guelph Professor Bruce McAdams about crop rotation, companion planting and what it means to be an organic garden. 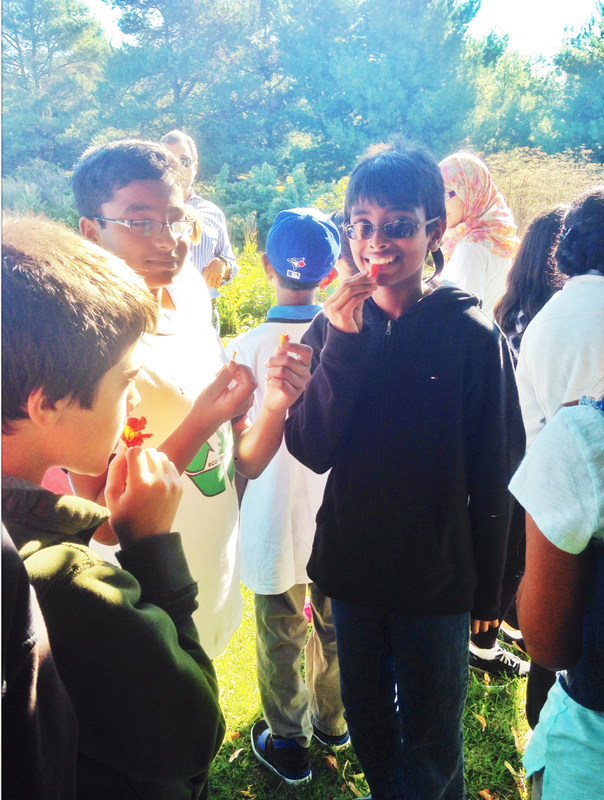 The student were able to try and one peppery tasting flower which is used to keep caterpillars from eating the garden’s lettuce. 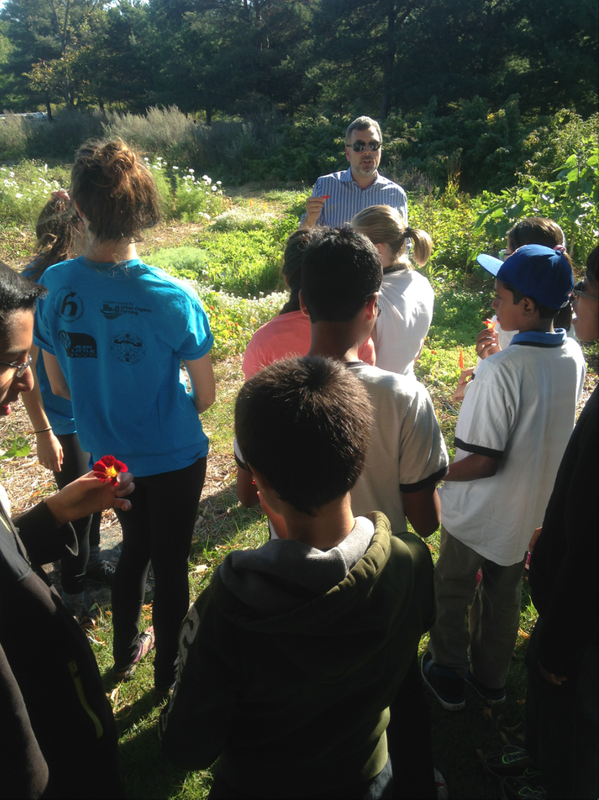 After the garden tour, our Garden 2 Table team spoke to the students about what kinds of classes they can take in high school relating to sustainable, organic farming and gardening in preparation for University. They learnt that there are vast opportunities including clubs and school gardens they can get involved in once they’re graduated elementary school. 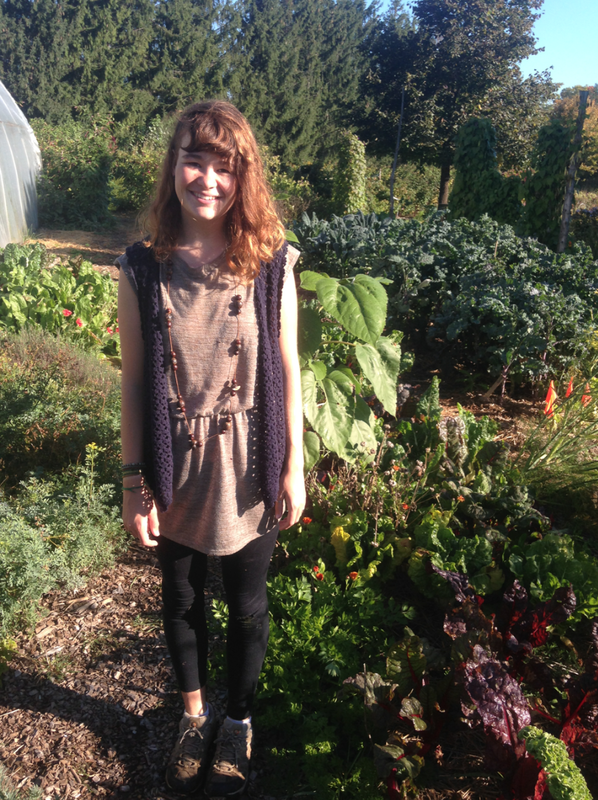 We were grateful to have Hannah Batten, a University of Guelph student who works and volunteers in the garden, to give a thorough tour of the types of plants grown in the garden and when certain plants are harvested. The children (and volunteers!) were surprised to learn that one year the garden manager, Martha Gay, used lion poop to hang in stockings around the garden to keep deer and other hungry critters away from her crops! After Hannah finished her tour around the garden, Martha showed the children what celeriac looks like once harvested and how to process it for consumption. The children learned what a labour intensive job it is to harvest all the vegetables for the weekly farmer’s market on campus. To finish up the afternoon, everyone moved to the greenhouse to start bundling sage, tulsi basil and Greek oregano to take home to their families. The children were in interested in learning about not only the edible aspect of herbs, but also their medicinal properties. Next Monday, the children will be returning to PJ’s Restaurant on campus to try cooking with celeriac and various other herbs that were harvested in the garden. We can’t wait to have them back for another fun, educational day in the kitchen!